Ukrainian legal services market has been growing rapidly in recent years. Experts estimate it to be worth between $500-700 million a year (for comparison, Germany’s is worth $27 billion and more than $100 billion in the USA). Until recently, there was what’s known “lawyer’s craft”, or individual consulting companies. Success was measured by the number of “acquaintances” or opportunities a company had. The situation is now changing. The growth in quantity of companies providing these services doesn’t always mean an increase in the level of such services. Companies don’t compete for the values of their clients, but for the values they’ve set for themselves. How do you choose the one that will not only be able to provide professional, high-quality services, but also meets the needs of the client? 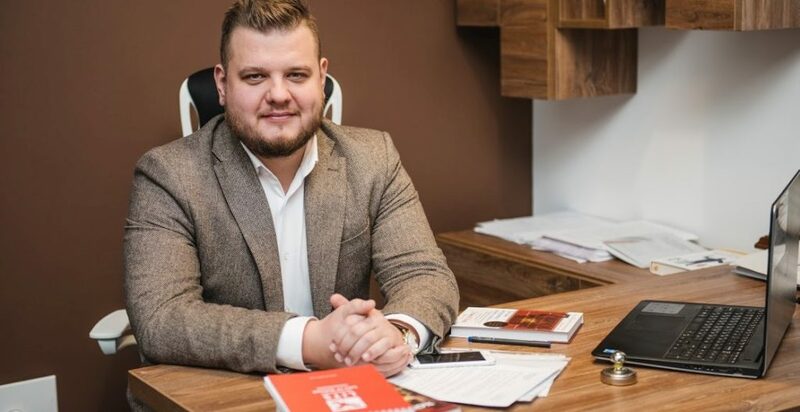 Taras Bachynskyy, a Managing Partner at Bachynskyy and Partners law firm, discovered what was important for the client, and formed his company around these values. We spoke to him about the Ukrainian market and asked how to become a successful law firm in Ukraine. Each client has their own priorities; therefore, it is important to understand them. Maybe it’s the clarity and frequency of communication. Maybe it is the experience of lawyers, their modernity or creativity. Or maybe it’s their efficiency in work, clarity, confidentiality, and security. You need to adapt and meet the criteria that are important for the client now. Our primary value is compliance. This issue is not such a serious problem abroad, as it is in Ukraine. We work exclusively within legal framework – and that is not always easy. In fact, as an indication of how important we feel about this, we are an active member of the Ukrainian Network of Integrity and Compliance. Legal consulting in Ukraine is the kind of service where you buy an hour of a lawyer’s time based on his/her professional experience. We took a different way. We created innovative legal products based on the “blue ocean” principle – to focus on uncontested markets instead of engaging in a competitive struggle with our competitors. Or the fixed price package of the purchase check of real estate – we sell it not as a service, but as a certain product at a price that is known in advance. In migration practice, we’ve formed a line of more than 50 legal products for foreigners. We also now offer a special legal product – a 24/7 criminal law defense that offers the client round-the-clock support for a set contract. The priority of legal services in 2019 is attracting foreign investment. It will help to develop local business which, in its turn, impacts us all. This is our focus because over the years we’ve developed our own base of investment in different fields, including: hotels, alternative energy (the current field with the highest ROI), logistics warehouses, commercial real estate, retail, agro, and recreation. This is what happened in the IT area, where the approaches and principles of IT companies have been fully integrated into Ukrainian reality. Attorneys at law BK Partners want to become a full-cycle company – from registration of real estate, business, and criminal defense to the services of notaries and accountants, which we have in-house. A successful legal company can’t afford to stick to one direction and ignore other services. Modern life is constantly challenging – legislation changes, new business opportunities arise, anything can happen. It’s necessary to analyze and learn from foreign experience. We don’t just accept these challenges – we are ahead of them. Our clients feel safe and are convinced that we are ahead of the game and ready for any challenge. Attorneys at law at Bachynskyy and Partners began as the Legalaid law firm 10 years ago. Managing Partner Taras Bachynskyy, PhD and lecturer at the Lviv Polytechnic University and founder of the IT Law School founded the company. When the world’s IT companies started coming to Lviv, they found a need for legal support. That’s when Bachynskyy and Partners started to focus on becoming an IT law firm. Due to the steady growth of the team, the company now has more than 20 employees based in a modern, high-tech office. Our office has all of the amenities to make a client feel comfortable – from comfortable working areas to conference rooms and recreation areas. BK Partners is a team of experts, as we only hire the best lawyers that have succeeded through a two level selection that includes an internship.